Mt. Zion Memorial Fund: WHAT IS THE MATTER WITH LEROY CARR? Who will tell me why the blues singer Leroy Carr always has been a step-child in the steadily growing jazz literature ? Where do we find a jazz writer or collector willing to remedy this neglect? Apart from discographical material, nothing has been written by any ,American jazz writer about this outstanding folk singer. Maybe you have read a short article which included a very important discography in "The Record Changer" of May 1947, written by the English collector and writer, Albert J. McCarthy, or an article in the English magazine "Jazz Journal" a couple of years ago. Besides, you may have had the opportunity of reading a few opinions expressed by a couple of contemporary American blues singers, but you are unable to look up as much as a single article dealing with Carr's biography. Not even Rudy Blesh took the trouble to mention any of Carr's recordings in his book, "Shining Trumpets." He mentions him in passing only, and calls him great. That's all! Such negligence is unpardonable. "I never worked with him but I think Leroy Carr was the greatest blues singer I heard in my life. I know him from seeing him around and listening to him, and he was the best guy you ever met. " If it is correct that Big Bill has met Carr in person and listened to him, I wonder how he could write his book without mentioning this wonderful blues singer, even if his lyrically accentuated and relaxed singing was a kind of city blues far away from the primitive and untrained blues singing, which for example, Blind Lemon Jefferson was a typical exponent. Can this be the reason why American jazz writers so entirely ignore this fascinating interpreter of the blues? The guitarist Scrapper Blackwell accompanied Carr in his more than 120 recordings issued on the Vocalion and Bluebird labels. 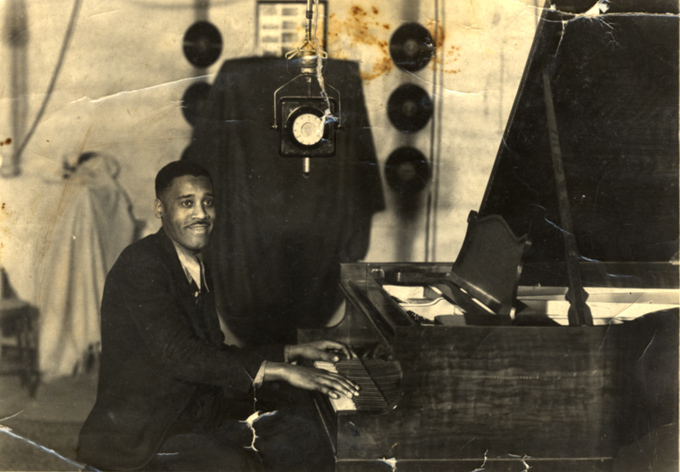 His playing in these records places him among the most pleasing blues accompanists, and moreover his ensemble playing with the piano-playing Carr was taken as a model, and has been imitated by lots of piano-guitar duos with varying success. A great similarity in thought and musical expression must have been a condition for the splendid ensemble playing. As this amazing oneness is apparent already in their first record, Carr's melodious composition, "How Long Blues, " it seems safe to assume that they had been playing together long before 1928, the year they started recording for Vocalion. 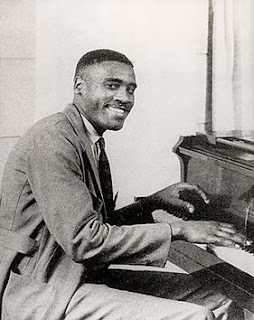 Besides "How Long Blues," which is one of the classic blues compositions and maybe Carr's most beautiful work, he has composed such tunes as "Blues Before Sunrise" and "When The has Goes Down. "His record-ings of these tunes as well as "Midnight Hour Blues.' and "Alabama Woman Blues, " belong to his very best vocal performances. "Muddy Water" should also be mentioned because of Blackwell's very exciting guitar accompaniment which is played with a growing rhythmical excitement. The words in Carr's songs are not much different from the lyrical poetry in the blues sung by most of the blues singers from the South, but in Carr's melodious form of expression this simple and artless poetry seems to take on a deeper meaning. His intonation is often melancholy but never sentimental. I should think that the only objection against Carr may be that too many of his songs and compositions were built on the same themes. He often used the same theme three or four times (perhaps even more; I am not familiar with more than half of his production), and even if he chose different titles for his records and used different words, it tends to make his repertory slightly monotonous, Nevertheless, it is an incomplete collection that does not have some of Leroy Carr's recordings, and for my part, I feel that he ought to have a seat in the Library Of Congress, side by side with America's finest folk creators! May I finally express a hope for a Long Play record comprising some of Carr's best recordings. There is no doubt that such a record would fulfill the wish of record collectors the world over, and at the same time it would widen the knowledge of the performances of one of the best blues artists who ever existed.